Gloves In The Workplace – Do You Have The Right Gloves For The Right Job? Hand injuries, including injury to fingernails and fingers, are often written off as first-aid usage and near-misses. Many workers consider the use of gloves hard to comply with and unnecessary. Yet, more varieties of gloves for broader purposes exist than ever before – cut-resistant, chemical protective, electrically-rated, infection control, just to name a few. Carefully identifying the need, then selecting a glove with the appropriate performance parameters can prevent many injuries. Identify the hazards that could injure hands in this week’s safety discussion. List the characteristics required in each case and check your inventory to see if you have the proper gloves. Gloves are considered PPE and are the last line of defense in preventing injuries. Wear them every time. Remember that prevention is the key to a workplace where Nobody Gets Hurt. Cotton and fabric gloves: Can keep hands clean and protect against abrasions, but may not be strong enough to handle work with rough or sharp materials. Coated fabric gloves: Can provide protection against some moderate concentrated chemicals. They can be used in laboratory work provided they are strong enough to protect against the specific chemical being handled. 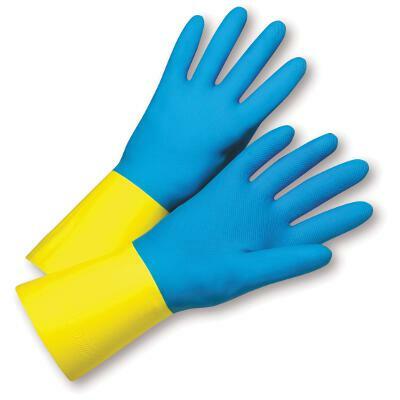 Rubber, plastic or synthetic gloves: Can be used when cleaning or working with oils, solvents and other chemicals. 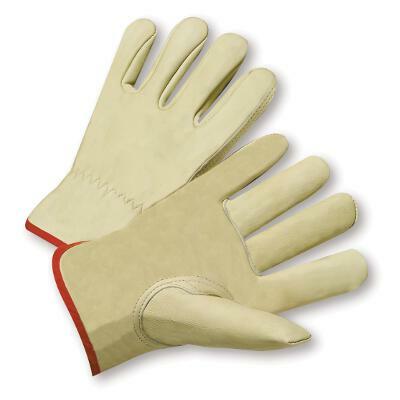 Leather gloves: Should be used when welding, as the leather can resist sparks and moderate heat. The risk of cuts and abrasions also can be minimized by wearing leather gloves. Aluminized gloves: Are recommended for welding, furnace and foundry work, as they provide reflective and insulating protection. Kevlar gloves: Have a wide variety of industrial applications. They are cut- and abrasion-resistant and provide protection against both heat and cold.